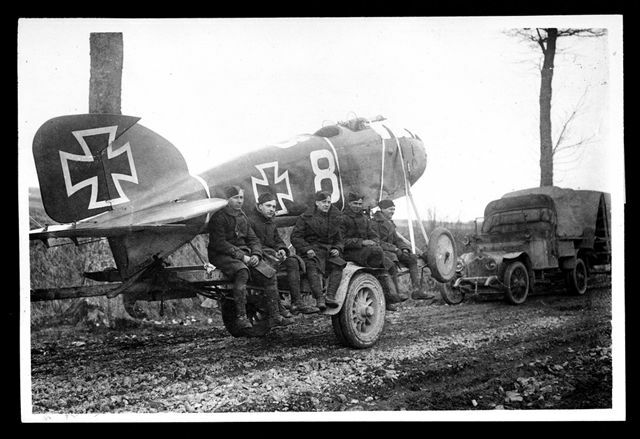 RFC Airmen with their vehicles ( Crossley Tender on the right ), remove a captured German aircraft. 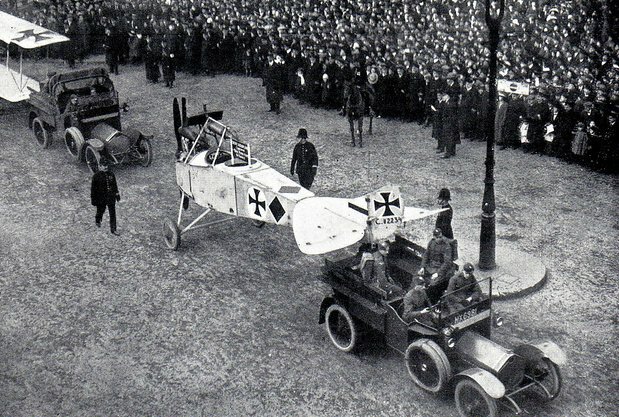 RFC units tow captured German aircraft as part of the Lord Mayor's Show procession, held in London. 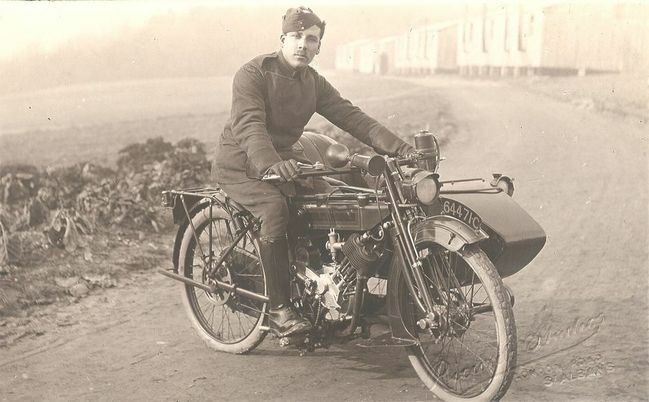 RFC Motorcycle and sidecar combination. Lovely picture of the Crossley tender. 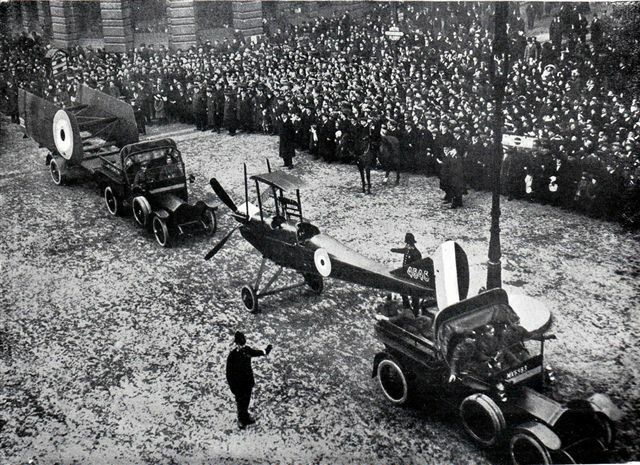 Pleased you liked the photograph, and here are some more RFC Crossley Tenders, this time towing British Aircraft in that same Lord Mayor's Show procession, November 1916. RFC Crossley 20/25 Tender fitted with a ' Light Lorry ' body. 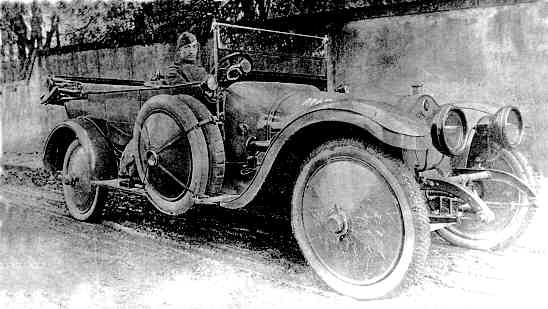 RFC Crossley 20/25 Staff Car. 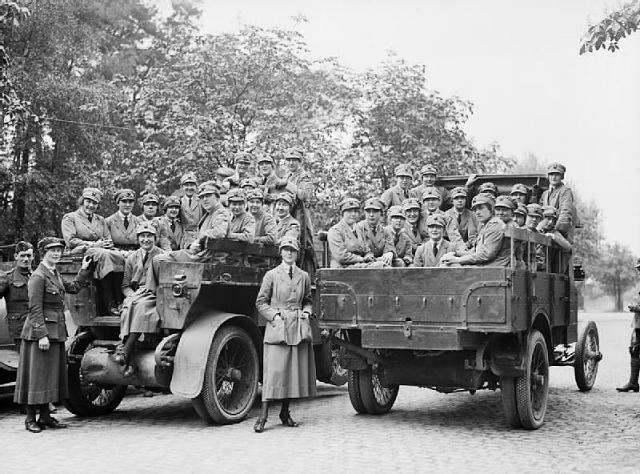 RFC Crossley Tender with either WAAC or WRNS passengers, if the photograph was taken before April 1918. 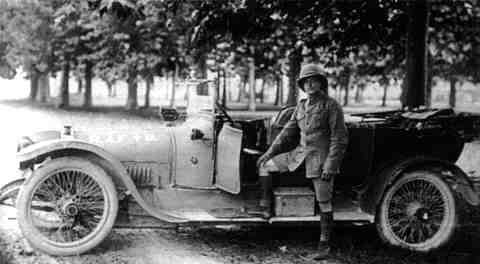 Another Crossley 20/25 Staff Car, this time RAF. Just logged on at a pub in Newquay, Cornwall(well a chap needsR&R) more great pictures. So what is the story behind the number plate? Any pictures of the car on the day of trouble with a clear picture of the plate? If so would make a great tale for next year. Yesderday I spent a few hours in the "ship wreck museum". 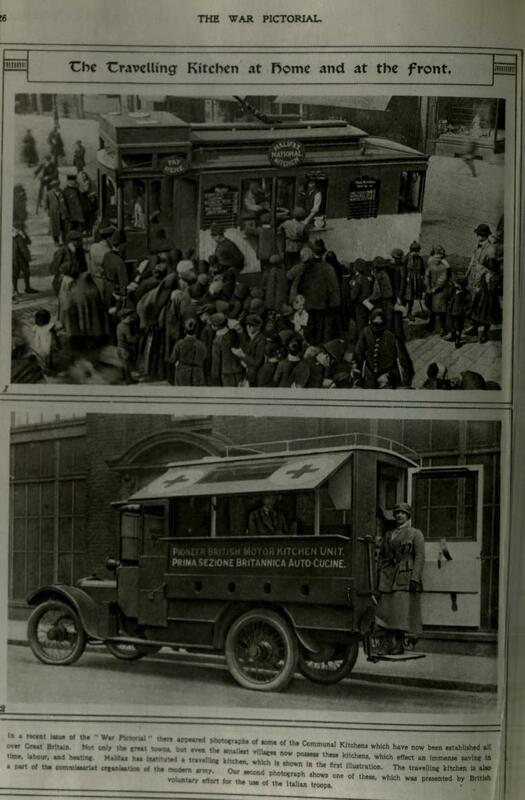 Oddly in the 1st aid and rescue section there was mention of WW1 ambulances! 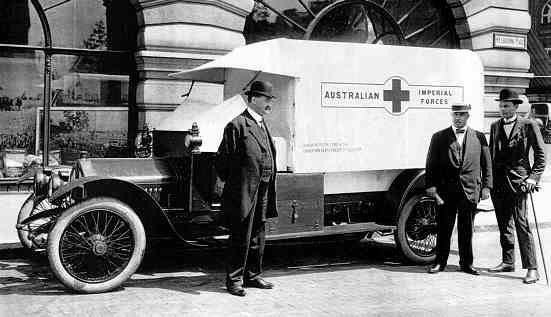 Not much to add in the way of pictures here but the humble WW1 ambulance is remembered in the most unlikely places. Any pictures of the car on the day of trouble with a clear picture of the plate? If so would make a great tale for next year. Yes, the bottom photo in post # 494, shows the number plate clearly. This photo, was taken on the day of the assassination from the other side of the road to the photo above it. Sorry not got pictures onto load in the pub to save the PC power. 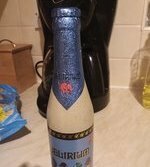 If so very very intresting. Thank you. Crossley 20/25 fitted with an Ambulance body. This is brilliant,I have been looking for pictures of the various Crossley's for a modelling project. I am pleased the photographs are of use to your project, I was particularly pleased with the photo in post # 508, as you do not usually get to see good detailed views of the back of the vehicle. 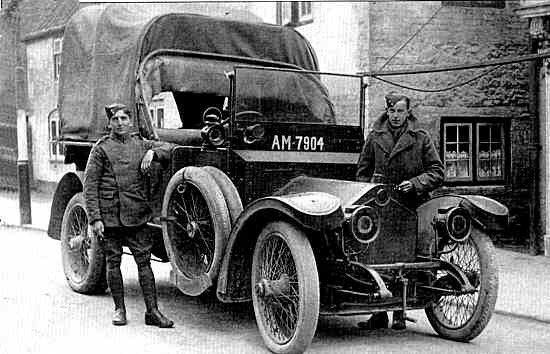 Two excellent photographs, and the first I have seen for the volunteer service the ' Pioneer British Motor Kitchen Unit '. An interesting photograph full of detail, showing what the caption describes as " H.M. Landship No. 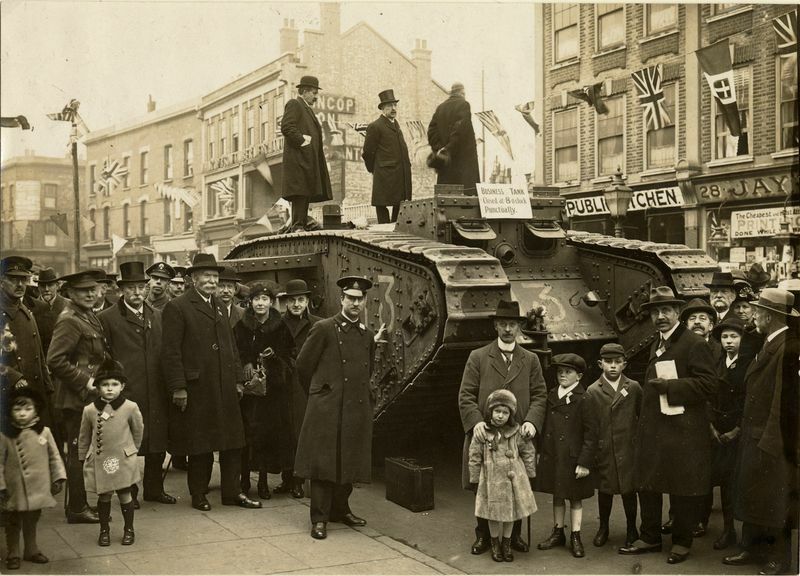 113 ' Julian ' fund raising, Stoke Newington, Church Street, London on 16th March, 1918 ". 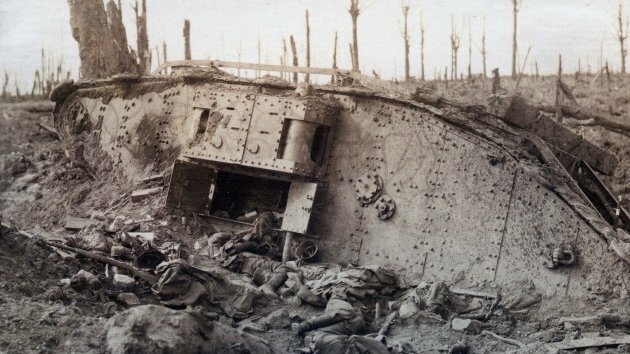 Tank ' Julian ' at Denny, 15th October 1918. 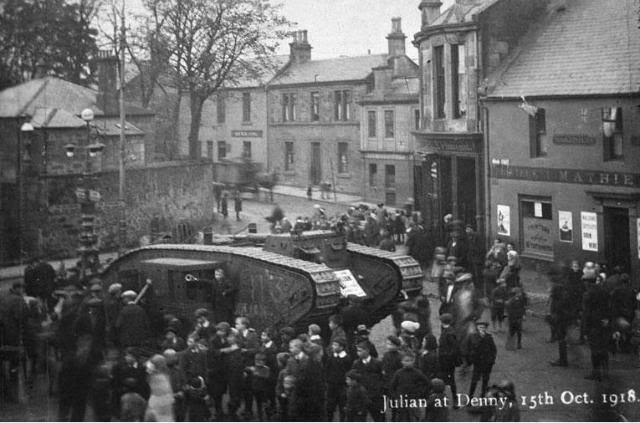 Tank ' Julian ' at Jedburgh, 1918. 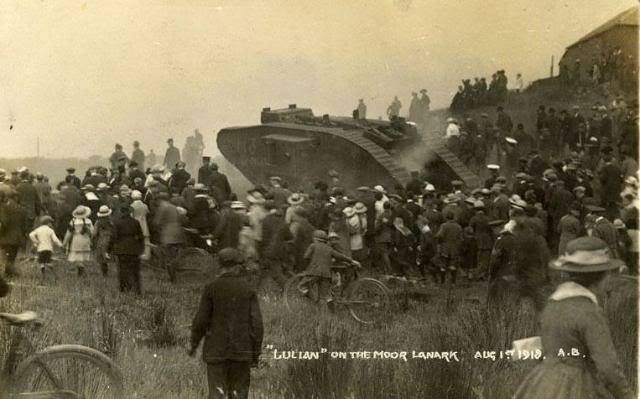 Tank ' Julian ' at Lanark Moor, 1st August, 1918. 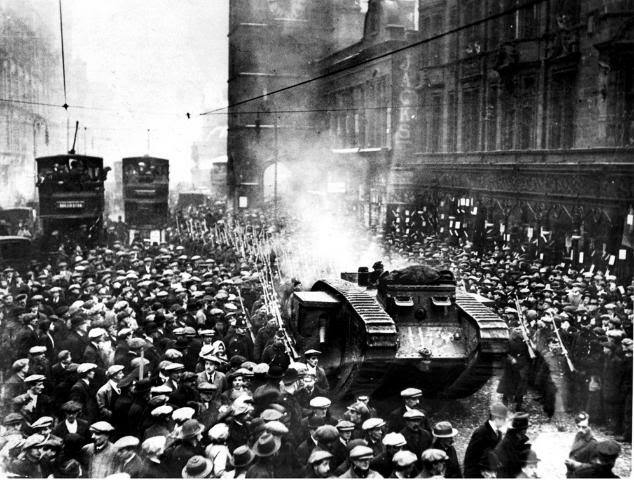 There was controversy surrounding tank No.113 ' Julian ', which during WW1 had been seen on streets throughout Britain during wartime fund raising events, and then in 1919, tank No.113 was again on the streets, this time in Glasgow, as part of the Government's actions against strikers. A report on which, was contained in the Glasgow Herald and Evening News. 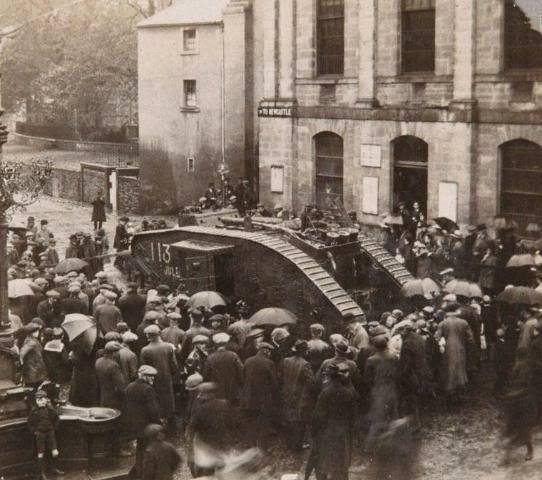 Armed troops escorting a tank on the Trongate, January 1919.
" Alarmed by the Forty Hours Strike called on the 27th January, the Government sent English troops to Glasgow to keep the peace and make sure that essential services were not disrupted. Six tanks and 100 motor lorries accompanied the troops, and they were sent to strategic points across the city on 1 February in a calculated show of force. The strikers began to drift back to work from 4 February and six days later the Strike Committee issued a statement recommending that men should return to work on the 12th. The tanks had been withdrawn from the city several days earlier." 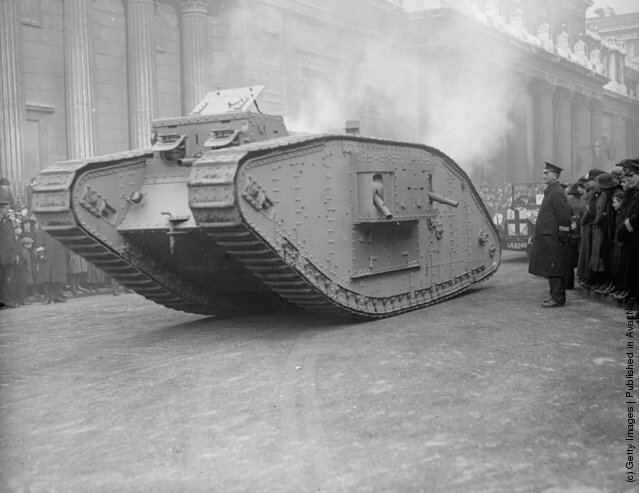 The photo caption " A Male Tank MK.IV taking part in the Lord Mayor's Show procession, London, November 1917 "
Nice pic Pity it wasn't at the front!! From the euphoria of a tank taking part in the Lord Mayor's Show procession, to the stark reality of tank warfare.